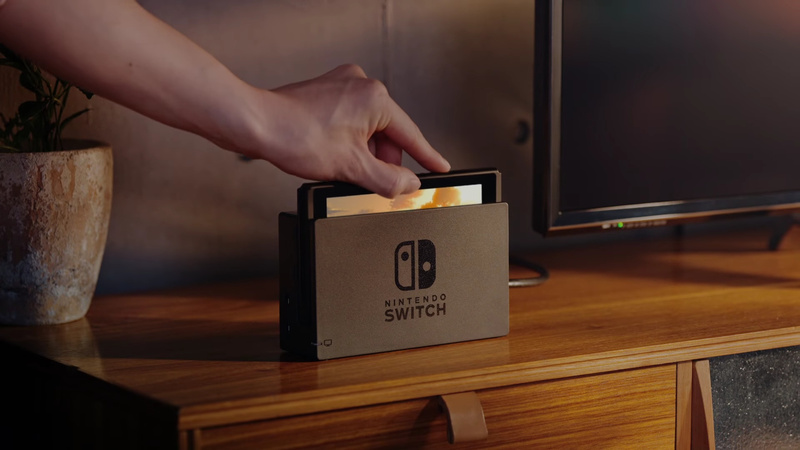 Nintendo has confirmed that it will be hosting a Nindies Showcase video presentation on Tuesday, February 28th - just before the launch of the Switch on March 3rd. If you're in the US then you'll want to tune into http://live.nintendo.com at 9 a.m. PT. The UK 'localised' presentation will happen over at www.nintendo.co.uk at 17:30 GMT. Needless to say, we'll be livestreaming the event right here on this very site. Expect to see plenty of upcoming indie titles confirmed for Nintendo's new Switch console. What are you hoping for? Let us know with a comment. Blast, its around lunch hour here and its my last day of internship, so I'll have to miss it. Hope NL has a good summary after the presentation! Cool, looking forward to it. Would love to see Hyper Light Drifter, Abzu, Inside and a few others ported over, would love to have a version of those I can take anywhere with me! Above all though I'd love to see Rocket League. PLEEEEEASE! IT BETTER HAVE SOME LAUNCH GAMES, NINTENDO! SOME OF US DON'T WANT BREATH OF THE WILD OR BOMBERMAN R! Good idea. I'll be watching. I think this will be where we see Yooka Laylee confirmed and hopefully a release date.Rocket League would be superb. Me on 2/28 at noon: Hold my calls...I'm er, uh, in a meeting! Looking forward to this. Hoping this adds to launch. just says showcase so probably game's but must be more than that, what about online news, VC news, Esports maybe?? I don't really care about indie games honestly, but lemme just say my main takeaway from this is I really, really hate the stupid Nindies name. Like, a lot. It kind of ticks me off every time I see it. This I gotta see! Hoping for a few surprises now that the Switch is more dev friendly than ever! UNDERTALE would be perfect for the Nintendo Switch! @G-Boy How would Undertale be like on a console? I can't see it working out. Cool, Pancake Tuesday, I'll be watching this and eating pancakes, can it get any better than that?! i doubt any of them will be available at launch tho'. Nice look forward seeing what is coming. @PotatoTheG Why wouldn't that work? Fantastic! I KNEW they would have one. Would love to see Hyper Light Drifter as a surprise announcement! Also, a release date for Yooka-Laylee and Stardew Valley, and some other new IPs like Snipperclips. @G-Boy I don't want to spoil major stuff for anyone, but things like writing an essay for Mettaton would have to be cut or botched at the very least. It wouldn't be a major issue but I think it would take away some of the charm. Indies.....where's the switch pre launch direct? Am I really only going to have 1 game to play until splatoon, and no vc! I can't convince any friends to buy it, as they won't invest until we know what online is going to cost and how the voice chat works? It's almost release date, I'm surprised they're leaving it so late. Then let people who want those buy it at launch. @abe_hikura oh yes please!! Love that game. Hopefully they announce more information about online, the voice chat app and other stuff. Hopefully great news for the Nintendo fans that buy the system early. What Nintendo want to be talking about are quality system sellers but I guess that will be E3. @Hotfusion That makes the most sense in general for developers. Even more so for Nintendo when the period they sell the most is around Christmas time. We've already seen how people were reacting (and their actions) with the March launch coming up soon. It's doubtful they would have been able to hold off launching until the holidays. Definitely hoping for Rocket League, Steam World, Stardew Valley, Yooka-Laylee, Snipperclips, and maaayyybe Undertale to make an appearance. Hope the eShop has a good selection on launch day! Maybe there'll be a snippit of VC news, like a simple "We'll be announcing details on the Switch VC on this date after launch" etc. Hopefully Shantae: Half Genie Hero will make the "Switch" so I can buy it for the 4th time to support WayForward. I'd like to see 1/2 Genie Hero and a release date for Yooka-Laylee. Oh, and Wild Guns!!! @PotatoTheG They could create a Mettaton-themed touch keyboard that comes up when you write an essay, and the screen could go black and the HOME button could be disabled when the "special" moments happen. @G-Boy Those are some good ideas, actually! I suppose it could work with a bit of creativity. I hope we get some news from Devolver Digital.. they did say info would come "soon"
I hate the Nindies name too, because it suggests those developers develop exclusive for Nintendo. But the truth is most of those titles appear on the other consoles too, but earlier and cheaper. In other words: Those developers release games on Nintendo devices, but their heart is not really in it! @PotatoTheG switch does have a touch keyboard, though undertale is likely never gonna be on console cus it was made in game maker and Toby fox doesn't want to put in the effort.